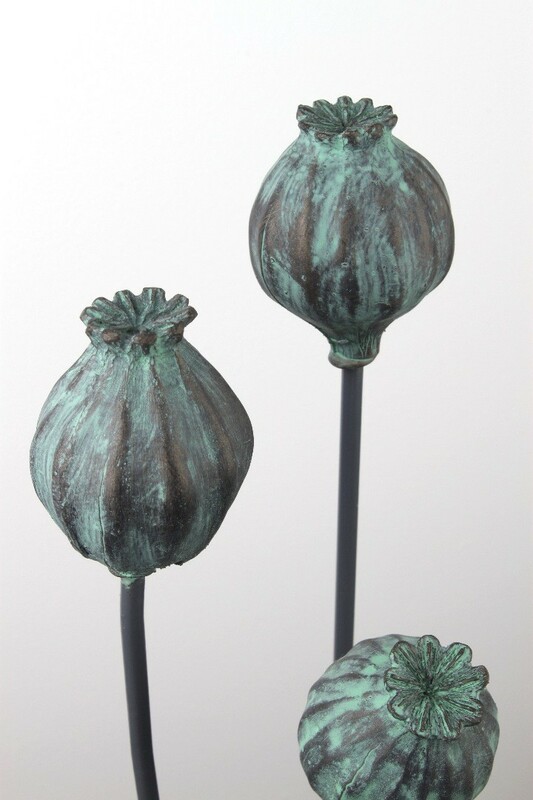 A beautiful 115cm tall decorative poppy seed garden stake. 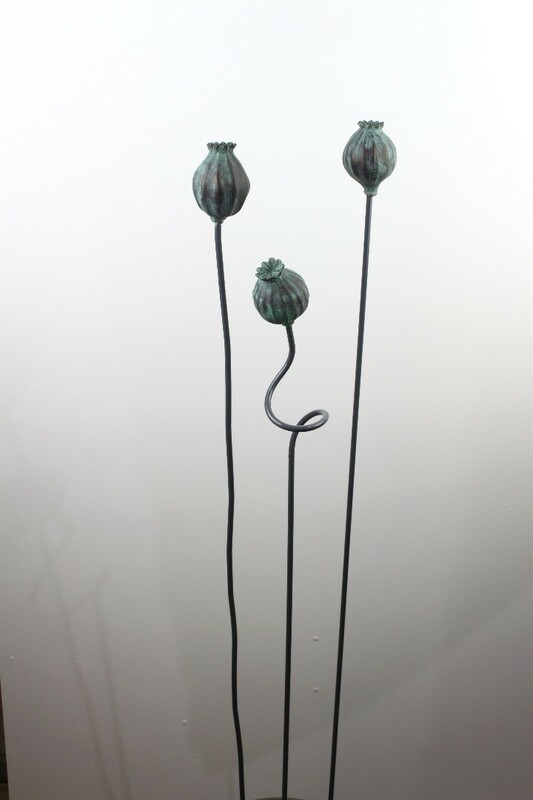 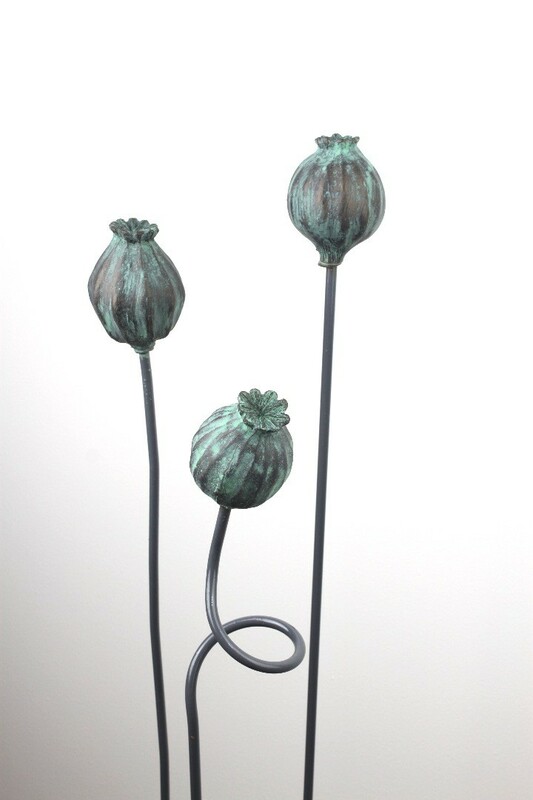 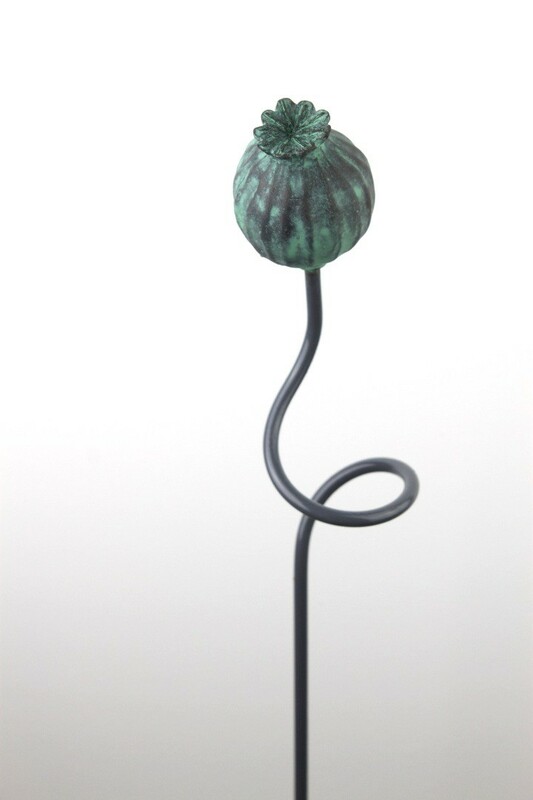 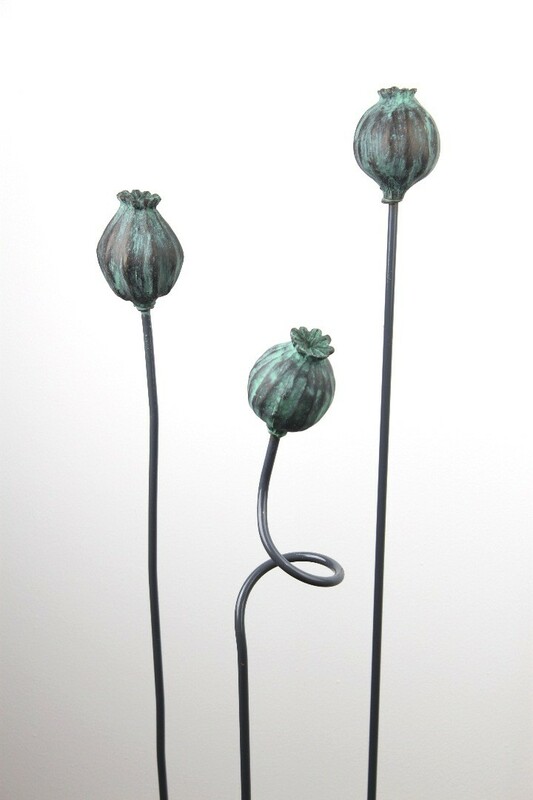 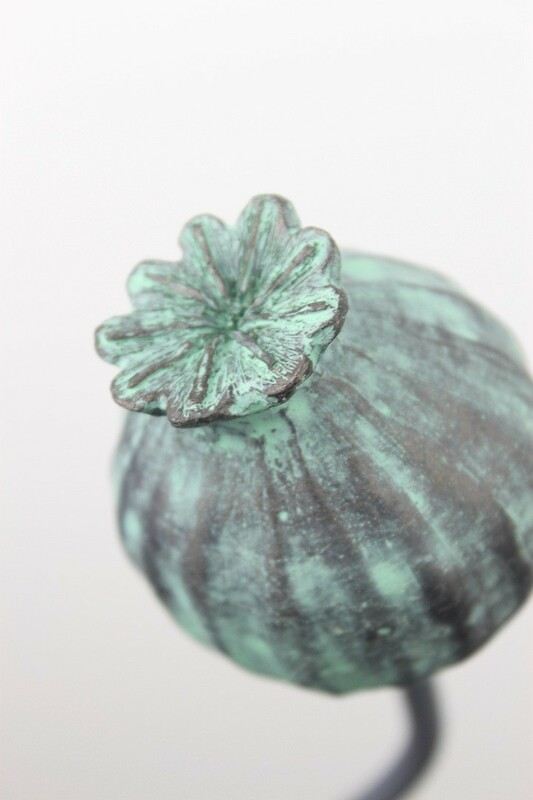 The poppy seed head is cast resin with a hand finished bronze verdigris green effect. 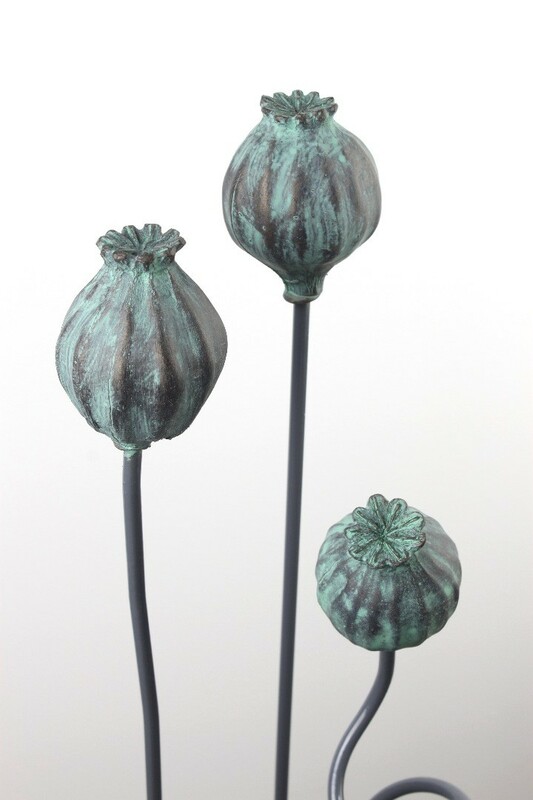 The subtle natural colours enhance your planting scheme with year round interest.The large seed head is approximately 5cm diameter making it visible on the most busy garden setting. 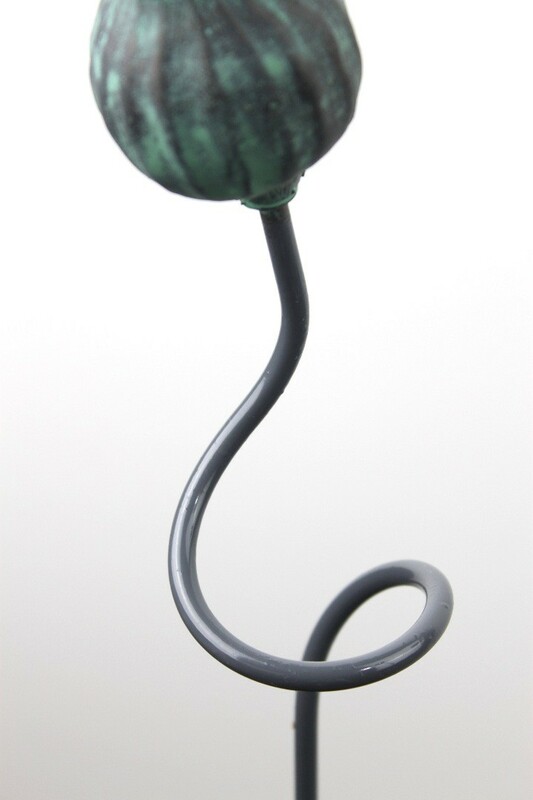 The virdigris green seed head will be the same on all the different stem styles. 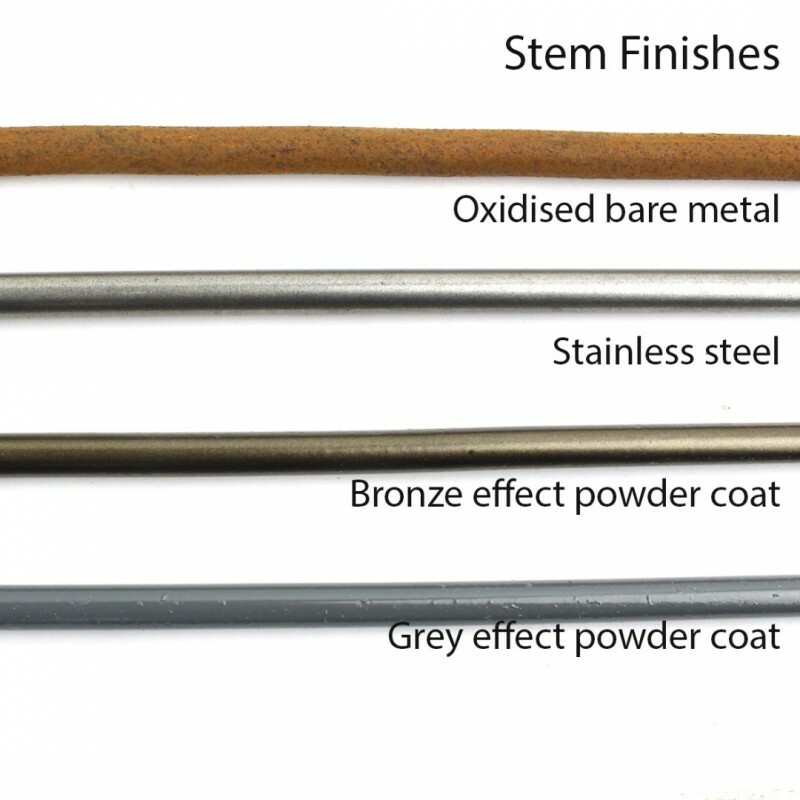 Just choose your stem style and finish using the option drop down boxes. 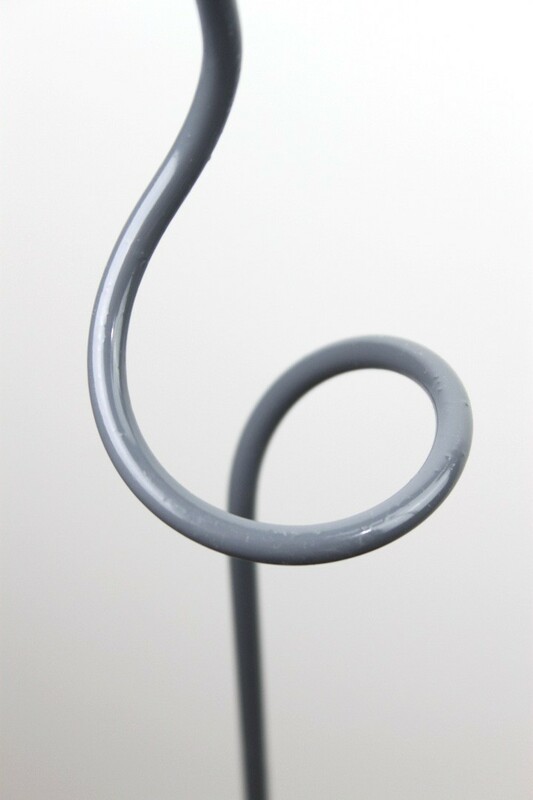 The standard stem style is spiral loop with bare metal oxidised finish. 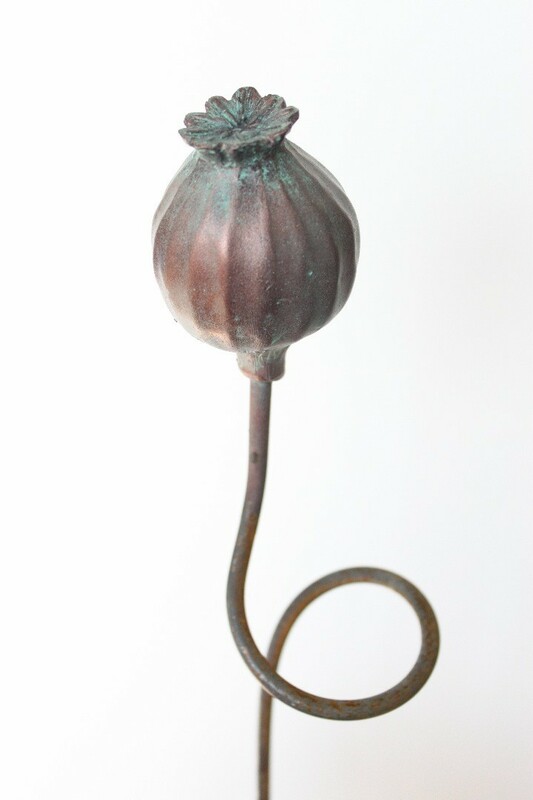 The bare metal oxidised stem option will be sent to you with the stem looking grey in colour but when placed outside it will quickly oxidise to produce a lovely soft orange colour that will look stunning against the permanent verdigris green of the seed head and the garden foliage. 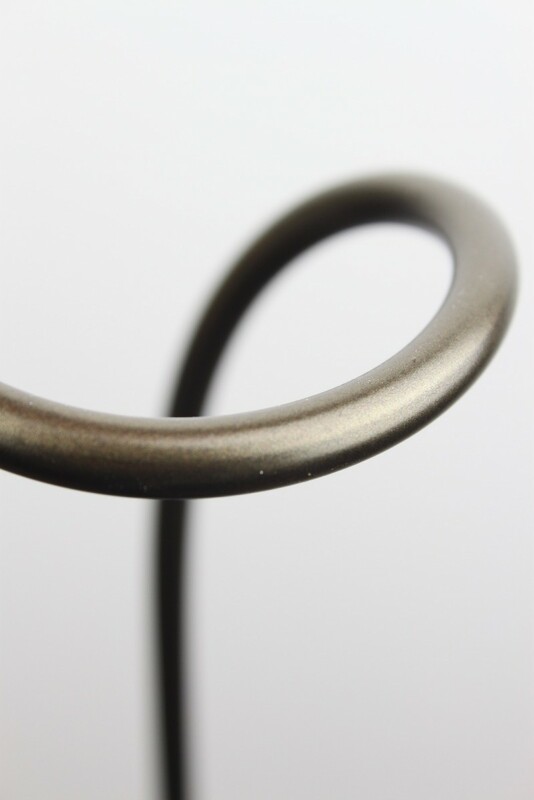 It will look great and last for many years to come.